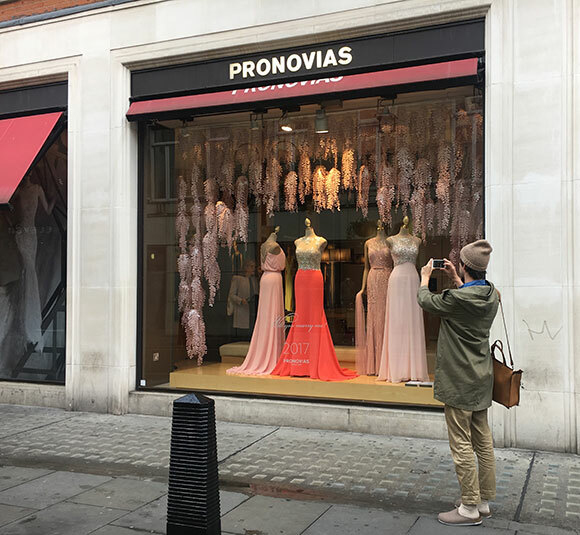 Dani Mancini from Wanda Barcelona outside Pronovias in New Bond Street, London. 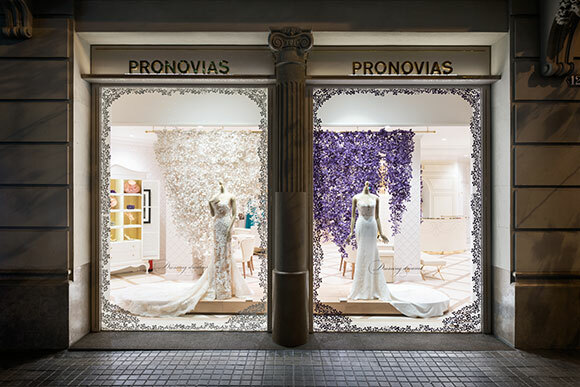 In worldwide wedding brand Pronovias’ continued quest to breath life into fantastical bridal dreams they called Wanda Barcelona to inspire shoppers. The pairing couldn’t have been a more perfect marriage. Inti Velez Botero, Dani Mancini and Iris Joval from the Wanda team certainly know a thing or two about building reality out of reverie. But with Pronovias having 4000 points of sale in 105 countries, this project required Wanda to deliver dreams on a colossal scale. 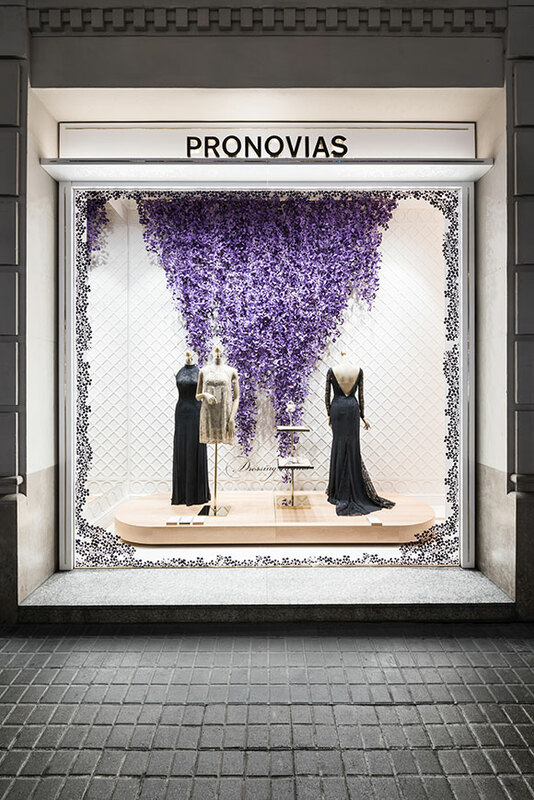 “Pronovias contacted us in 2015 and offered us the design and production of all their window displays, 2 a year” explains Dani. The exciting proposal not only required the team to envisage an artistic concept for their mesmerising paperworks. They also had to get creative with the implementation of their window scenes. Just as every memorable fairy-tale has the structure of a complex plot, Wanda Barcelona had to conceive a sound design solution for their captivating pieces to take flight. 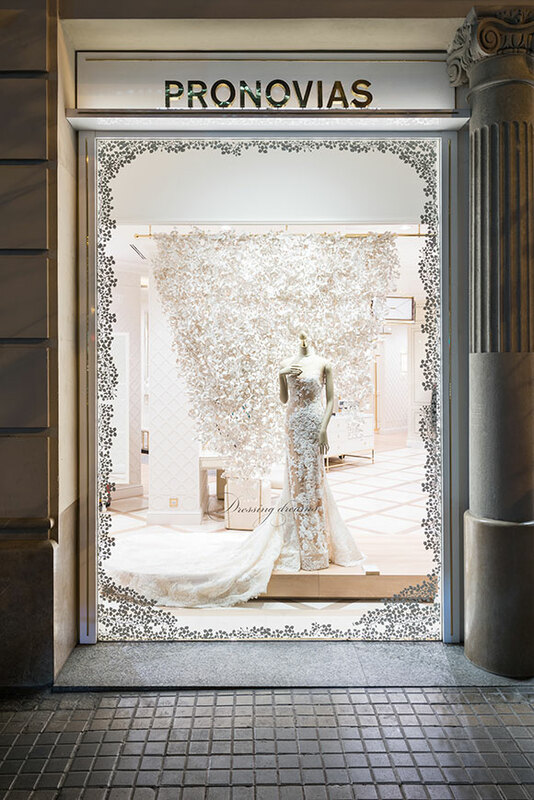 “Designing Pronovias is always a huge challenge: we have to work with a limited budget, a humongous production and yet still must create something impressive and potent” continues Dani. The team had to concoct an effective scheme that could translate on a mass scale whilst also being easy and simple enough for each store’s visual merchandiser to assemble. Wanda always has a hands-on approach to their work but as Dani states “it is impossible for us to travel to 105 countries so we have to produce a complete set of instructions so that anyone can rig it”. The final concept for Wanda’s second worldwide window display? “A downpour of vegetation, inspired in wisterias, weeping willows and hanging plants. A sublime backdrop for a wedding dress”. 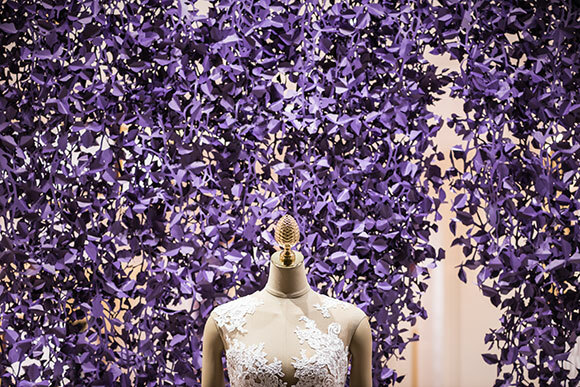 With 34,000 bronze and pink paper plants, meticulously packed for their journey into boutiques world over, Wanda Barcelona’s garden of delight was truly able to blossom.